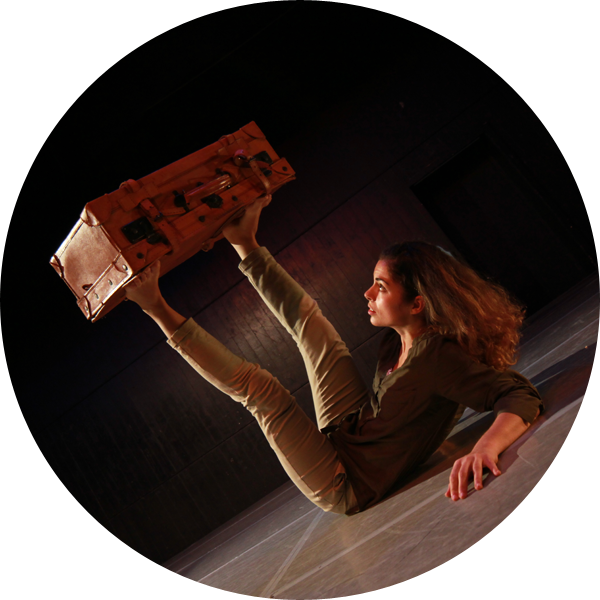 Camasha Vilaya is an emerging and innovative company that merges breaking with contemporary dance to develop a unique movement vocabulary and a new dimension of expression. The company was founded in Düsseldorf in 2014 by Carmen Mar, Spanish contemporary dancer, and Shabba, German street dancer, who decided to learn from each other’s dancing experiences, explore the unfamiliar and found Camasha Vilaya as a collaborative platform to create original choreographic dance projects and expand their vision via an educational program. 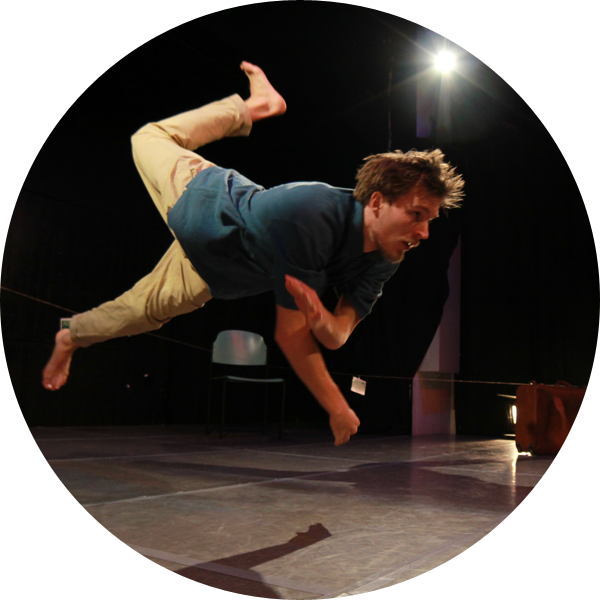 a passionate street dancer, choreographer and pedagogue from Berlin, based in Düsseldorf. He is the co-founder of the two German Breakdance Crews “Nin10do” and “Beat Nuggets” and studies Sports at the Deutsche Sporthochschule, Köln. On a vacation in 2002 at the age of 16, he saw some people breaking on the street in Helsinki. Since that day, he started constantly developing his passion for this dance by self-educated training and workshops held by legends of that art form such as David Colas and Ken Swift. Influenced by French dancers in 2007, he implemented other street dance styles, such as House, Hip Hop Newstyle, Popping while adding them to his individual repertoire. Shabba has won many national and international Breaking competitions-such as Sami Swoi (PL),. Cavalieri Dell Asfalto (It), Style Is A Message (D)-. As a professional dance artist, he has collaborated in the heatre productions Notik Dance Company, Perfect Brass Band and Nouveaus Horizons, commercial show acts-such as the Snowwhite musical at the Oper Bonn-Neunkirchen and several music video clips. Furthermore, he has worked as ahost and judge for many events. Along with his teaching, Shabba has choreographed shows for Nin10do and Beat Nuggets that have been toured and performed during festivals and galas.. Through his professional dance career, he got in touch with many different dances, arts and movements, which inspired him to create his unique way of moving. Salsa, Lindy Hop, Acro Yoga, Contemporary, Acting, Martial Arts, Moving Theatre, Play & Games became big influences in “Shabba Style” nowadays. fusion. We are dancers who were influenced by diverse countries and cultures and have diverse perspectives on dance. Power moves, street dance dynamics combined with classical lines and contemporary frame work and choreographic scores. We see the difference as something that instead of creating distance between us helps us to step out of our comfort zone, grow and improve together. Our motto is: Embrace the value of diversity. 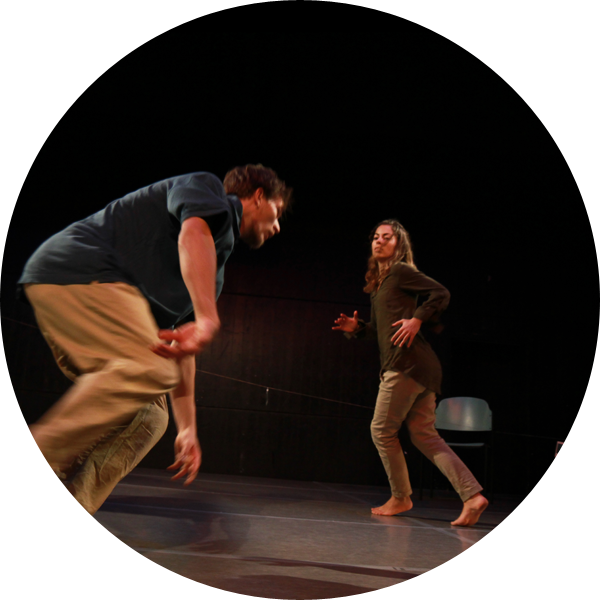 Through the cooperation in their creative process, Carmen Mar and Shabba share the same desire to express themselves and tell significant stories to the audience by connecting diverse movement styles and their aesthetics and collaborating with other artists. Creative and repertoire workshops, professional classes, extended school programs as well as outreach activities inspired by cultural exchange are offered as part of the company’s educational program. For enquires and reservation please visit the contact page. You want to be first, getting exclusive informations about my work & projects? You can change your mind at any time by clicking the unsubscribe link in the footer of any email you receive from Carmen Mar Dance and Yoga, or by contacting me at contact@carmenmar.com. I will treat your information with respect.